$74 tune up / maintenance offer (reg. $99)*. *Valid on A/C tune-up & regular maintenance only. Expires 4/30/19. Cannot be combined with other coupons, offers or specials. Sign up for our "Be Cool" Newsletter. Your newsletter subscription is processed by MailChimp. Get trusted, professional service from our plumbing division, Ray's Complete Plumbing. 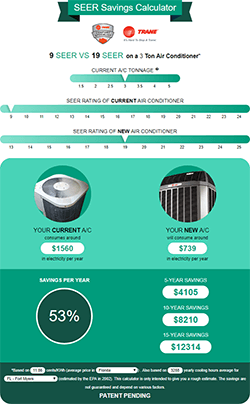 Are you looking for an air conditioning company that is honest, that cares about your needs, and that can serve you quickly, right when you need them? We can confidently say that we are that company. Kobie Complete Heating & Cooling, Inc. is your source for top quality air conditioning and heating services, including AC repair, maintenance, sales, installation and duct cleaning. If you live in Sarasota or Charlotte county, our two locations in Englewood and Punta Gorda allow us to serve you in a timely and efficient manner. 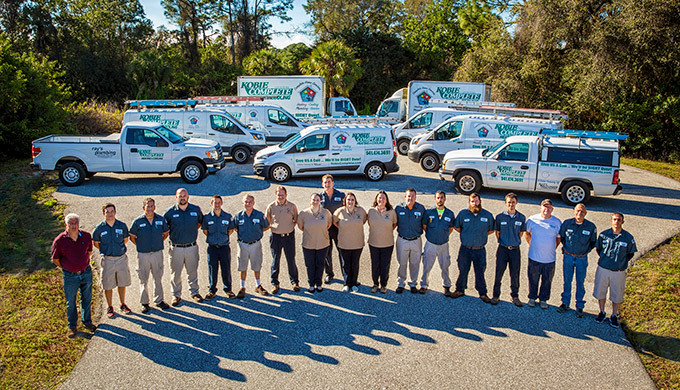 Because your comfort is our priority, we even offer 24/7 emergency AC repair at no overtime charge in our entire service area. Do you live in Sarasota or Charlotte County? Contact us now to schedule service. You will feel confident that you’ve chosen a professional and established air conditioning company. We are licensed, bonded, insured and BBB A+ rated. With over 15 years in business and a strong local market share, you can trust that we’re here to stay. When you need us, we’ll be there with 24 hour service at no extra charge. When your system breaks down and needs a repair, we’ll be right over – even on holidays and weekends. You will be treated with dignity and respect by our technicians. The people we send to your home will be uniformed professionals who are prompt and courteous, and will treat your property with care. Our technicians are NATE certified, drug tested and continuously trained. The team at Kobie Complete Heating & Cooling will listen to you. We will ask you specific questions so that we can recommend repairing your air conditioner or suggest new equipment options that best meet your individual needs and budget. You will get an honest assessment of the condition of your current equipment. We will never tell you your air conditioner or heat pump is broken when it’s not. It’s that simple. 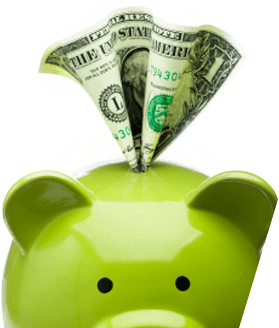 We will make you aware of any savings (including rebates) and financing options. We’ll walk you through the options that will make your investment more affordable. Our payment options include most major credit cards, consumer financing and delayed payment plans. You can trust the products we offer. We only sell products we believe in. You can expect us to recommend and install a quality, reliable air conditioning system. You won’t be limited to one brand. While we are a Trane Comfort Specialist, we also install and repair YORK®, Lennox, Amana, Goodman, Carrier, Comfortmaker, Rheem, Ruud, York and Honeywell air conditioning and heating systems. We offer whole-house comfort solutions. We will make sure you’re satisfied. When we provide you with equipment or service, you can count on hearing from us within the following several days, just to make sure you are satisfied. We are part of the community and give back to it. We are members of the Englwood and Venice Chambers of Commerce, and are active in the local business community. We also support Englewood events and organizations like Englewood Helping Hand and BPWEV. Do you need air conditioning service? Contact us to schedule service now. It’s official – we are now YORK® dealers! In addition to our other HVAC brands, we’re excited to provide our customers with a complete line of home cooling and heating products from YORK® – a brand whose reputation is built on over 140 years of quality and innovation. Why YORK®? Read more to find out! Trane systems are put through the harshest testing imaginable — all so they can run through anything. During the Trane Unstoppable Event, now through May 15th, buy a qualifying Trane system from Kobie Complete Heating & Cooling and choose from up to $1,000 in instant rebates OR special financing offers. Have you noticed any areas in your home that always tend to be warmer or cooler than others? The good news – uneven temperature is a common problem. The even better news – there’s something you can do about it. Let’s explore five common causes of hot and cold spots with simple solutions. Then, we’ll delve into four other potential problem areas that call for more complex remedies. Hi Ted, I just wanted to write about my experience with your company. First I have been very happy with Robert Tanksley servicing my home for the last couple of years and would like to request that he be the technician each time. He is very thorough and very professional. I also want to say how well the last installation on an additional house on my property went this past January. I do not remember their names but they went above and beyond to fit the unit in a very tight space. Please have Robert be the tech for both of these. He just left the main house servicing which is why I am writing now before I forget. Kevin S.